My first piece of advice is book your trip as soon as you can, if you know when you want to go. I know that is not always possible, so luckily you can make dining reservations without having booked a trip! You just need to have an account through the Walt Disney World website. Let’s take a look at my thought process. Keep in mind this is how I look at it, and you may want to adopt a different “strategy” for your trip. As for planning, I think about where we want to be on what day. 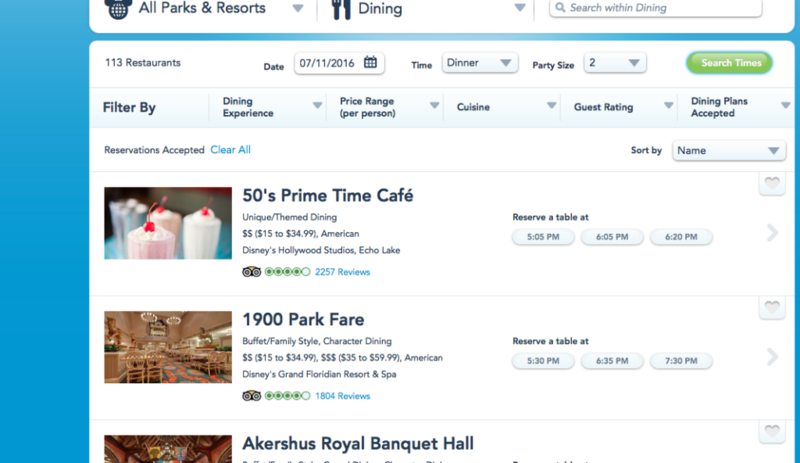 Park hours are released about a week before you can book your dining reservations, so I checked that out first. 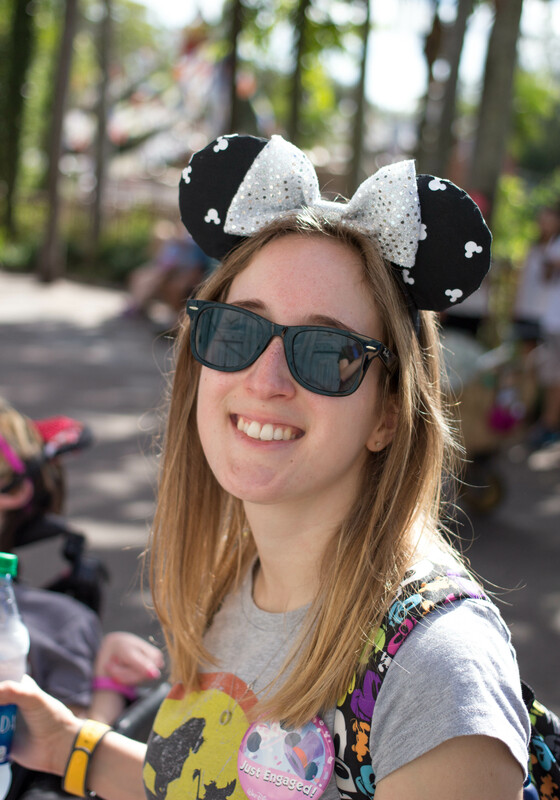 Because we generally stay on site, I paid attention to the Extra Magic Hours for the week, and generally made a reservation at the park that has EMH. What are Extra Magic Hours you ask? I go through all of that information in the Should I Stay on Site post. Basically, it’s one of the advantages of staying on site, because the parks open early and close later for Disney Resort Hotel guests. 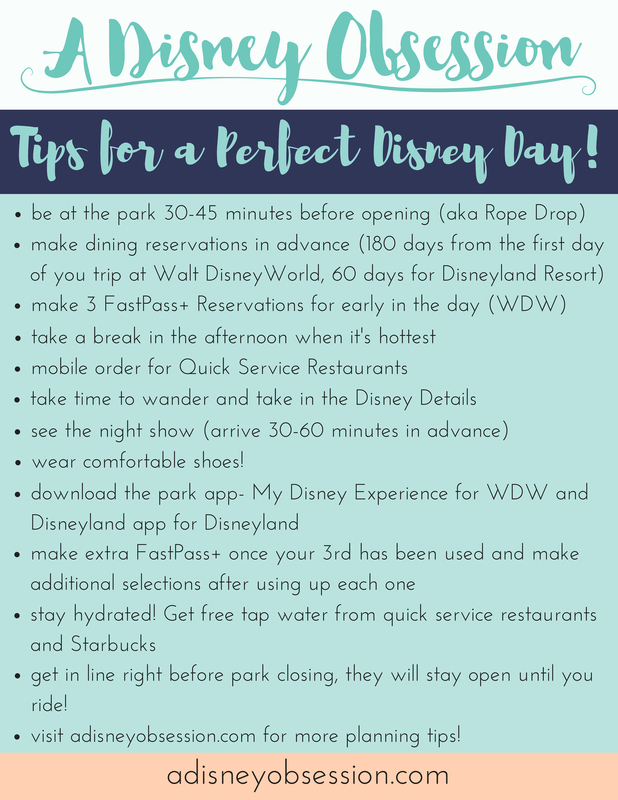 I laid out the schedule based on park hours and thought about restaurants I wanted to try at the different parks or Disney resorts near the parks, and wrote it all out. I tried to take all of the guess work out of it, so as soon as my booking window opened, I knew exactly what I was looking for. If you want to know more about the Disney Dining Plan and the types of meal reservations, check out the Dining Plan: Yes or No? post. I talk a little about it later in this post. You can make reservations for your entire trip from the 180 day mark of your arrival date, for up to 10 days. This means that if you are going for 9 days, you are technically making some reservations 189 days in advance. Now when I was going to book, we had already booked our room and got a fancy little package from Disney that spelled out all of our important dates at the back. 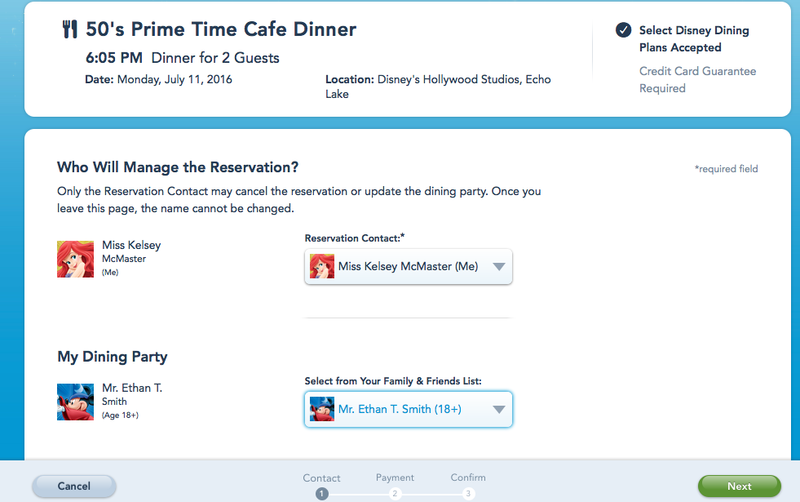 It says when we can make dining reservations, FastPass+ selections, and online check in. Your window “opens” at 6am EST on the 180 day mark, if you are making reservations online. If you want to call to make reservations, phone lines open at 7am EST. You can call407-WDW-DINE to make reservations over the phone. Making reservations online is super easy (I’m going to show you just how easy! ), so if you want to have an hour head start, make your reservations online. Yes, I got up at 5:57am to make my dining reservations. You certainly don’t have to do that, but I knew exactly what I wanted and wanted as much availability as possible. Also important to note is a credit card is required to make your reservation. It is not charged at the time of booking (or even for the meal), but more on that later. If you are comfortable with it, you can save the credit card information on your account, which can save some time later. 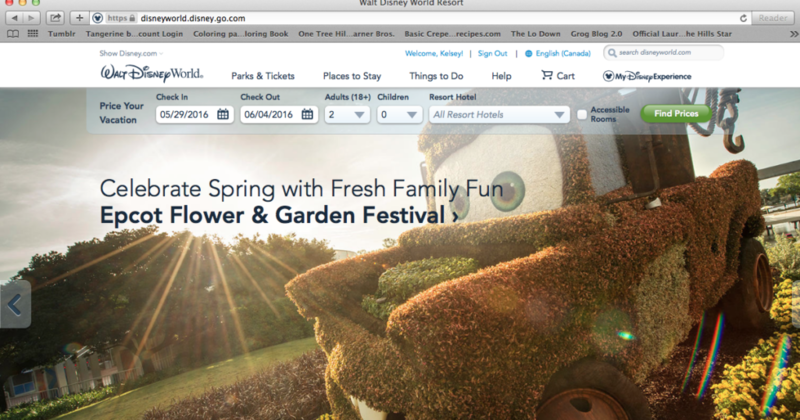 First head to the Disney World website. or go to the page of the restaurant you know you want, and check availability from there. If you see a time you like, click on it. If you don’t like the times you see, you can search again for a specific time. If you aren’t signed into your account, you will be asked to. 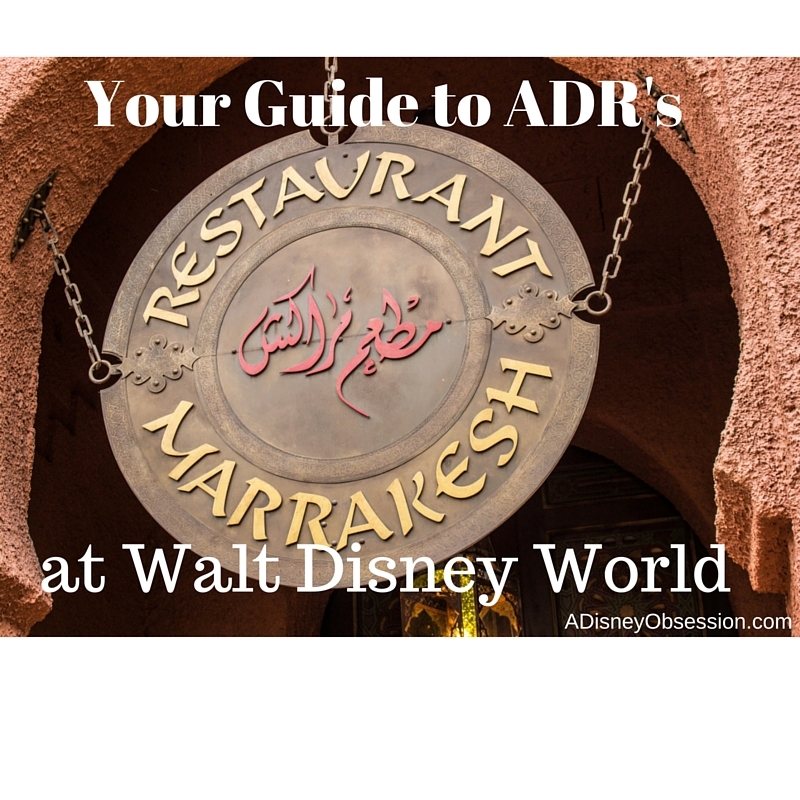 If you are planning on using the Disney Dining Plan, you want to make sure that the plan you are using is accepted at the restaurant you are booking. Luckily the Disney World website spells this out for you. I suggest getting all of that information before you make your reservations. Once you have logged into your account, you’ll see a recap of everything you selected before confirming. You also have to select who is managing the reservation, and who is going to be dining. Don’t forget to agree with the guest policies! A confirmation email will be sent to you, once the reservation is made, but a phone number is also required. I’ve never been contacted by phone for a dining reservation. Next you will see this magical page! 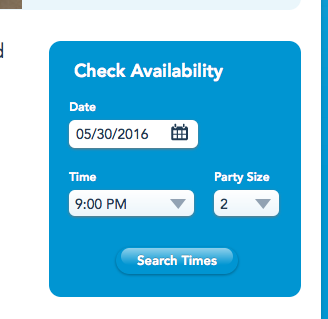 When you go to “My Disney Experience” and look at your reservations, it will be listed by date. Remember when I mentioned you need a credit card? That credit card will be charged if you don’t show for your reservation, $10 per person on the reservation. When making a reservation that you might not keep (I know people who make a bunch because they don’t know what they’ll feel like that day), you need to pay very close attention to the cancellation window. Make sure you cancel within that window, or you will be charged for it! Once you cancel your reservation, you will receive an email confirming the cancellation. It’s that easy! Be Our Guest. Everyone wants it. I’m really sorry to burst your bubble, but you are most likely not going to get a dinner reservation here. At all. For your whole trip. Like do not get your hopes up. Remember how you can technically make reservations 189 days in advance? All the guests who are going to be there before you have taken those spots away from you, because they arrive earlier and can book earlier. I found this out the hard way. The good thing is, Be Our Guest is open for every meal. The only difference is the type of service. Dinner is Table Service, where you have a waiter. Breakfast and Lunch are Quick Service, where the food is still brought to you, but is more like McDonald’s or Burger King. If you can’t snag a dinner reservation, try breakfast or lunch! This way you will still get to see the restaurant. This is the most frustrating thing with dining reservations, but that restaurant is THE HARDEST to get into. It’s also the only restaurant that operates as both a Table Service and Quick Service, so when you are making reservations with the exception of Be Our Guest you are making reservations for Table Service Meals. The only reservation I couldn’t get was Be Our Guest, but I got everything else for my trip, and we will still be going to BOG for lunch! 🙂 And if you haven’t guessed… while I’m not giving the date away, my next trip is less than 180 days away! I hope this posts takes some of the confusion out of making dining reservations for you. What’s your favourite Disney restaurant? Let me know in the comments!